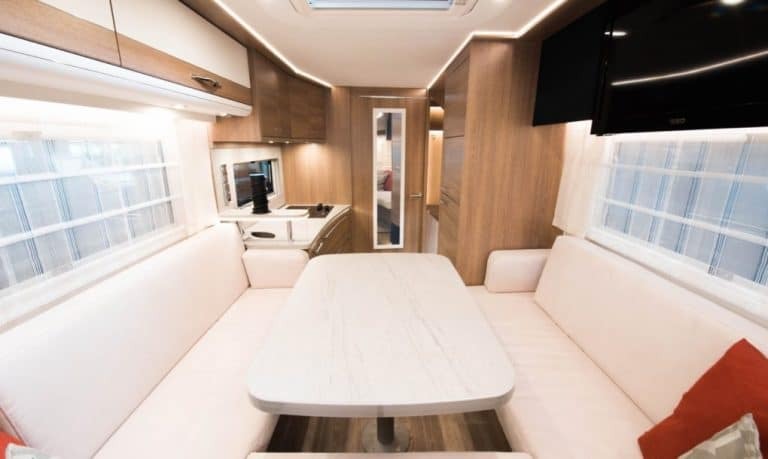 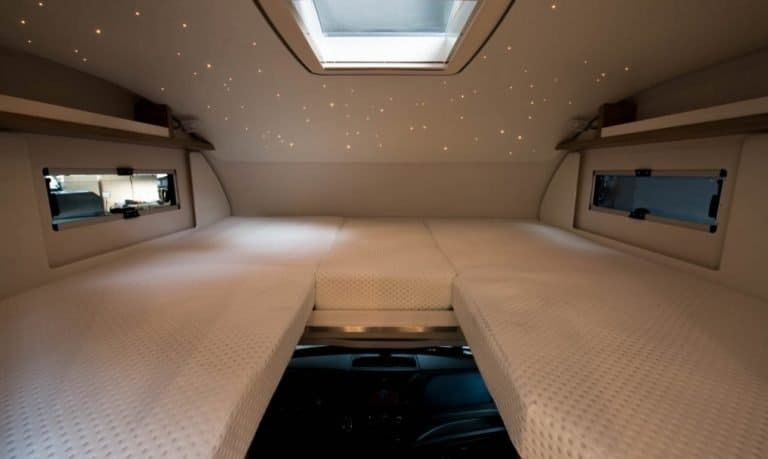 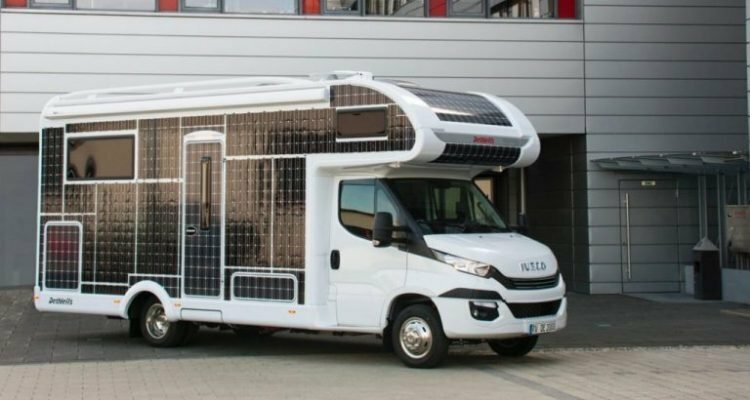 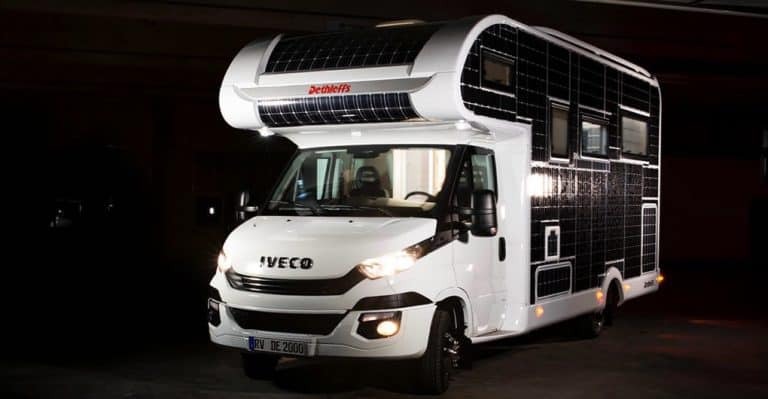 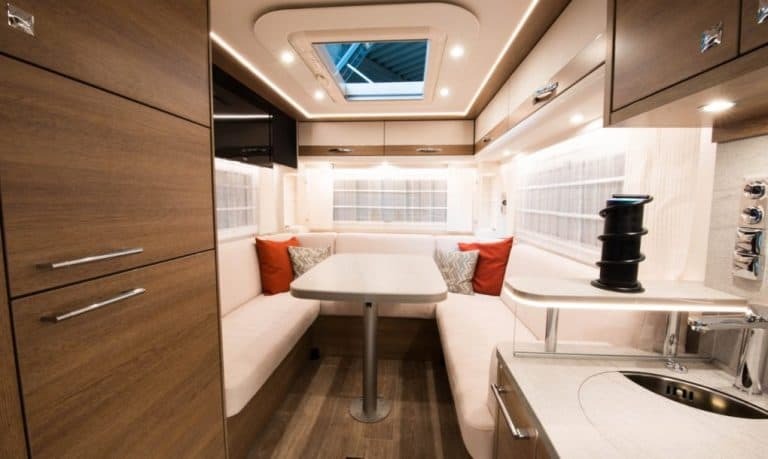 If you presently suffer from a mad case of wanderlust, you’re sure to appreciate this new motorhome unveiled by RV company Dethleffs. 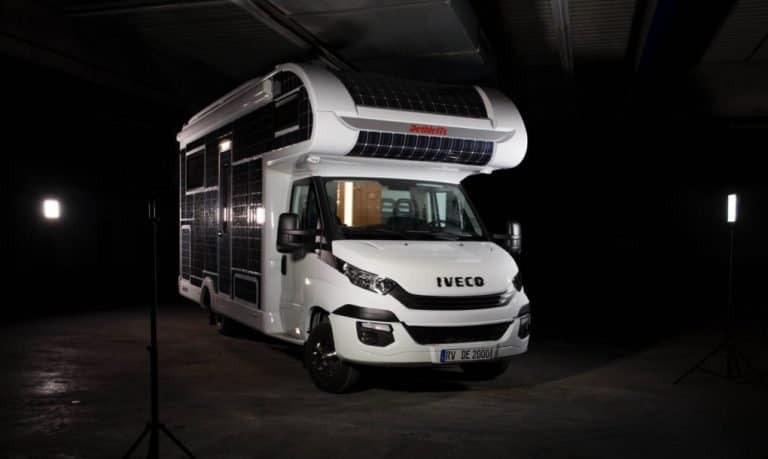 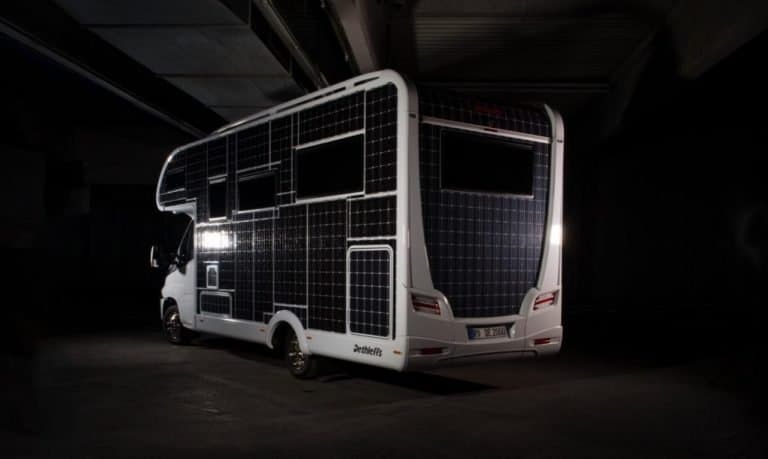 With a sleek design and head-to-toe solar panels, the vehicle was made for the open road. 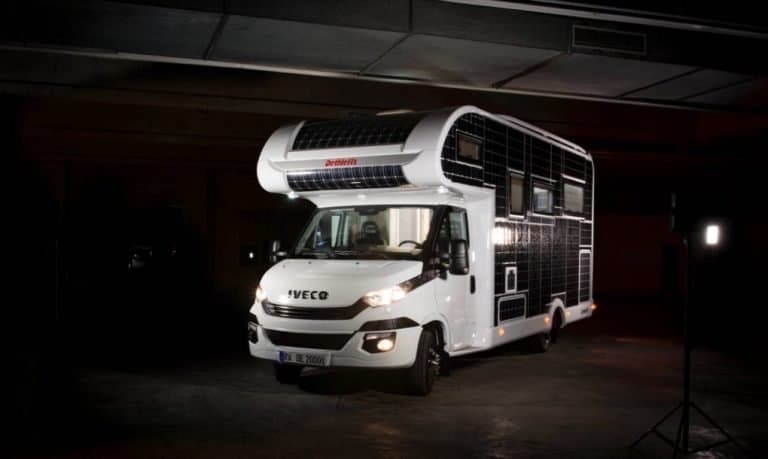 It’s especially perfect for those who seek to go off-grid for a while, as it runs without fuel or charging stations. 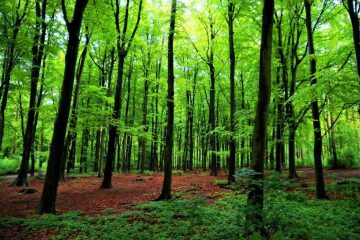 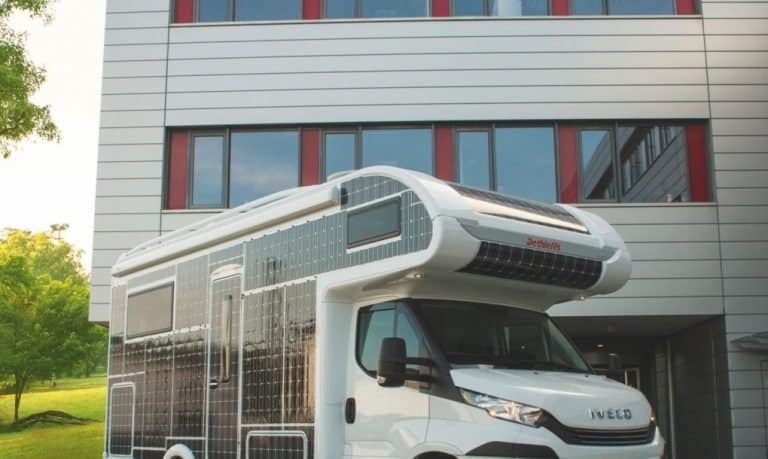 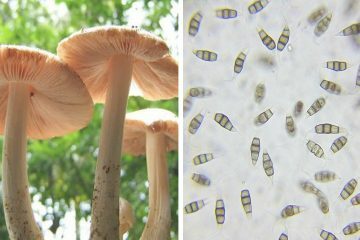 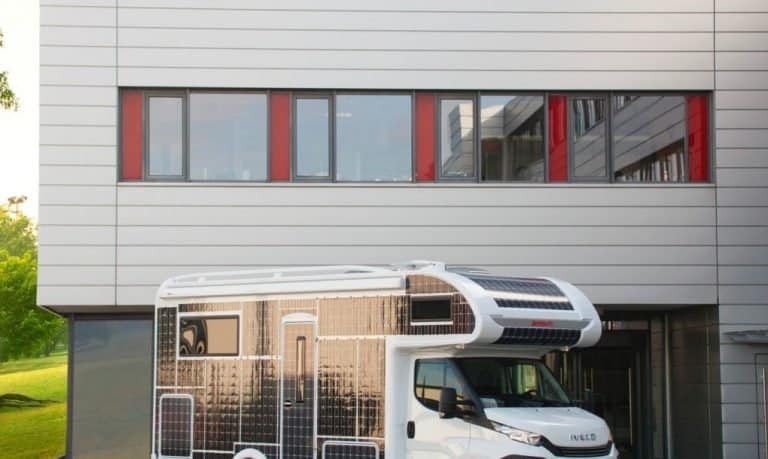 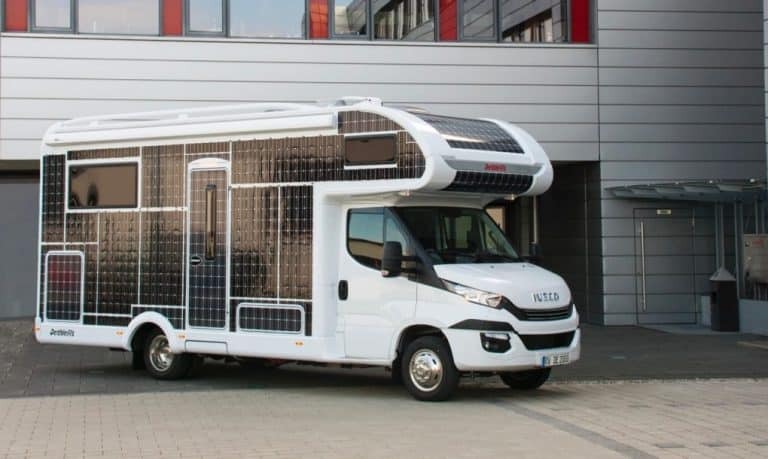 Because the e.home is solar-powered and can store the sun’s energy in a battery pack, it allows campers to thrive in the wild without adversely impacting the environment.